You did an excellent job on these maps. 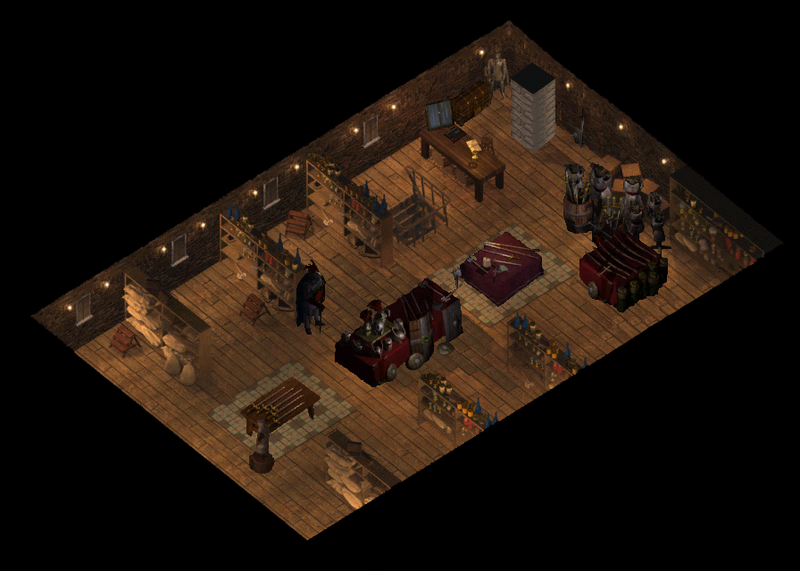 They look very detailled and stay true to the artstyle / mapstyle of Baldurs Gate. I am always worried about ugly and bland (no details, just some land + brush tool) maps when it comes to mods which add a ton of new areas to explore. It's also nice to see that you're trying to keep the amount of new spells and magic items to a minimum, which is a big plus for a "Big Mod". Any information about the combat difficulty and how much NPC reaction there will be in the mod? NPC reaction is still being made so I cannot comment very much on that yet, but the idea is that there will be even very severe NPC reactions (like the one with Jaheira and Khalid becoming hostile). I will try to add NPC reactions to conversations (in a spirit of BG1NPC mod), but adding all that stuff will take some time. The combat difficulty will be quite hard (most of the difficult and important fights have modified Black Pits 2 scripts on the NPCs). However, as it is with Black Pits, if you put your difficulty setting to Easy, the fights will get considerably easier. Also many of the fights, if they turn out to be too difficult, can be skipped instead. 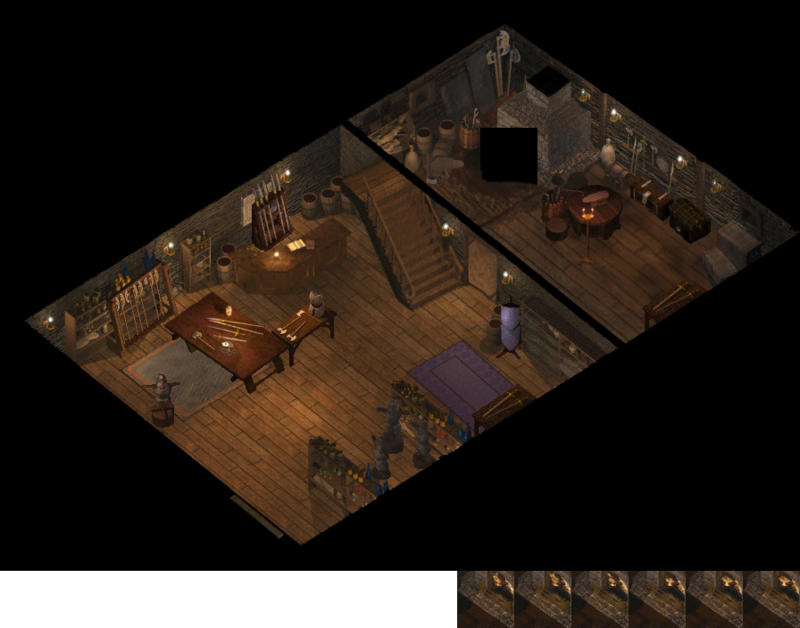 Will there be a good reason for my party to do the questline, respectively how and when do we get to know about Cragmyr Village in the game? Asking because of RP reasons, since I find it hard to come up with a reason to do the questline after the beginning of chapter 6. It is very hard to avoid it when going to Nahskel at the beginning of the game It will be situated in the middle between Beregost and Nashkel. You don't have to visit it, but it will appear on the map. For example you can travel straight from AR3800 to AR4300 All the new areas will be free to go and leave as you please, so you don't have to do the questline completely at one go, if you don't want to. Oh wow, had forgot about this thread. Your post made it up in my participated list. Oh god I wish this mod was released so I can play it, but it seems to have been inactive for a long time. @Zanso, are you still alive and kicking? @Skatan @Vasculio @Arthas @AKrugBier I truly hope I can release the mod some day. But haven't had actually any chance to work on it over a year due to real life being too busy. The other thing is, the 2.0 update of the EE game broke the area arts (screen tearing) and at that point there was no fix. So I decided to wait until there was a fix. However, I am still not sure if there is one. Have to look into it, or if anyone knows, please let me know. At the moment I truly think, with my real life becoming so busy (graduated, new city, dream job, found love, etc... basic stuff really :P), I will never finish the mod without help. So, when I get into catching up what I was last time doing, I will be asking here, if anyone wants to collaborate (scripting especially) and help out with the mod (and ofc get their name the makers of the mod). I am also thinking about releasing the undone mod to anyone who has interest in continuing the work, since for it might take even another 6-8 months I even have a chance. Almost all the area arts have been done (since I love doing that ), maybe about 50% of the plot is scripted, written and done, all areas have been added to the world map, the mod touches very few original stuff, so shouldn't be many issues with other mods, etc. So, I am open to any ideas, or if someone is interested in continuing/helping with the mod. Fire away! It may be a good idea to just find some help. Especially if you're still around. It's really discouraging when authors/co-authors disappear. But since you are still around... BTW, by "areas mostly done" you also mean coded? @LavaDelVortel Thanks! I'll try it out. Seems to be a quite slow progress with so many areas By mostly done, I mean some critters,spawn points and containers are to be added, and the main and side quest stuff from the areas are ofc still lacking. The areas are otherwise fully done: all mapping (height, walk, light), all overlay polygons in place, door animations (and interiors with travel), weather (rain, day/night etc. ), travel to other areas (worldmap). Actually not sure what you mean by "coded"? Could you specify? Since the mod is never going to be completed by me, so I post here to see (again) if they are interested in finishing it and continue working on it. I will most likely only be available for info and some minor map works (already mostly done) and information. Send me a message, and I can add you to the message group if you got interested in modding this mod, The Enemy Within. Everyone here on Beamdog Forums! I will still try to take a look at the mod and create new team or something. If I decide it's too big task, I will inform that someone else should take over the initiative. I will try to help as much as I can, but sadly it has been like two years since I was actively creating the mod, so I can't remember much of it all. I can't give any promises how much I can actually be involved, but I promise to answer every single message sent to me, one way or another. And this time it's going to be be to tell you that much fixing and updating is behid me and @Zanso - the mod isn't frozen in time and state. But much more work is still to be done. But know that what I have seen there, already coded and prepared by @Zanso is truly great! What are the problems with the project so far? What work needs to be done? Also what techniques were used to build the maps, they are incredible! The project is simply huge and during working on it, the main author was learning how to work on mods, but I wouldn't call the mod dead. I'm not the only one helping @Zanso so I believe at some point the mod will be released, but I must also remember about my own mods. I also talked to the other one who helps and we decided that somewhere during the summer we'll get back to working on it. I guess @LavaDelVortel already answered to most of it. Thanks for the compliment. The maps were created by making the new buildings and such in ArchiCAD and 3dMax. After that they were combined and scratched together from old Baldur's Gate maps with PhotoShop (to preserve the feeling and appearance of the Sword Coast). ^ 14 hp and 17 hp health potions respectively. I wouldn't mind joining the team for this project if help is still needed. Done mods before and can contribute quests, dialogue, items, etc.